Our thanks to Mrs Tegg (Esmee and Rosa's mummy) and George Chilvers (Community Fundraiser for St Nicholas Hospice) who joined our school assembly today to promote the 'Half Term Readathon.' 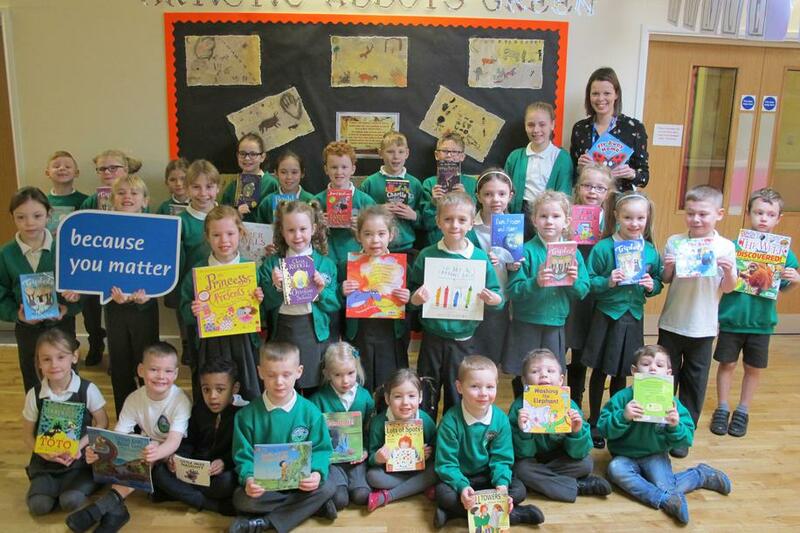 This is a sponsored event for children at Abbots Green to read as much as possible during the February half term break. All sponsorship monies will benefit St Nicholas Hospice. Sponsorship forms have been sent via ParentMail, or are available from the school office. Good luck in your challenge everyone!